11998 ft (3654 m) . 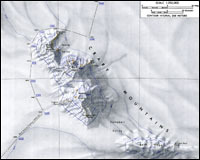 Mount Frakes is the third highest volcano in Antarctica and the highest point in the Crary Mountains. 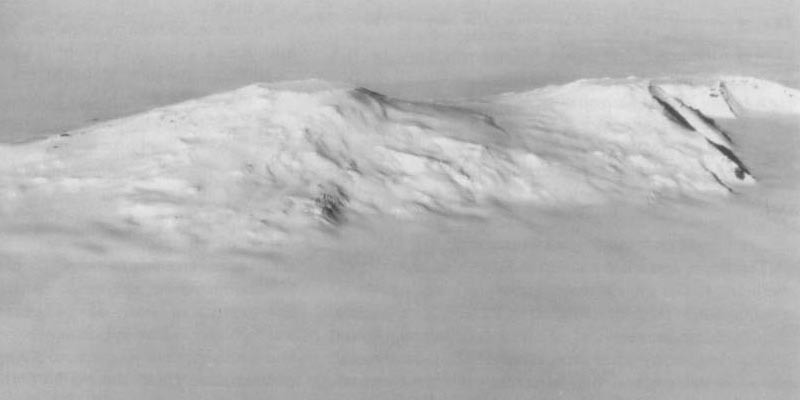 The relatively smooth and uneroded cone is about 4 million years old and has been constructed on the southeast flank of the older Mount Steere. 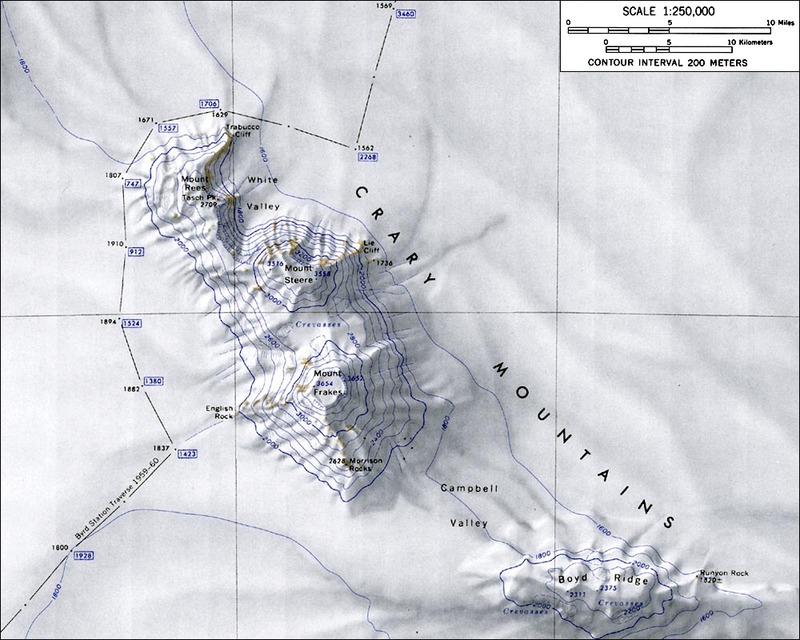 Atop the summit is a nearly-circular 1.5 mile (2.5 km) wide caldera, which is so flat that the high points on the eastern and western rims differ in height by only a few feet. Satellite cinder cones on the lower flanks of the volcano have been dated to less than 2 million years, so future volcanic activity is certainly possible given the long intermissions between eruptions which are typical of the Marie Byrd Land volcanoes.